Family skiing it THE BEST. It&apos;s our time to be unplugged and connected to one another. But this winter, I&apos;ve discovered the joys of skiing solo. This week I was supposed to be skiing with girlfriends in Montana at Big Sky, but my 12 year old daughter qualified for the Piche Races in Gunstock, NH. Our amazing Managing Editor, Lauren, took my place on the ski trip and I mapped out my trip to New Hampshire. It was a big honor for my daughter and a bit of a last-minute planning nightmare for me. But I do love a good logistical challenge. In about 48 hours I rejiggered my life and had lodging and travel all set for the trip. As I loaded our gear in the car, I decided to toss my skis on the roof of the Volvo before we headed North for the race. I wasn&apos;t sure if I was going to have time or the inclination to ski as I tried to jam work in and support her at the race. 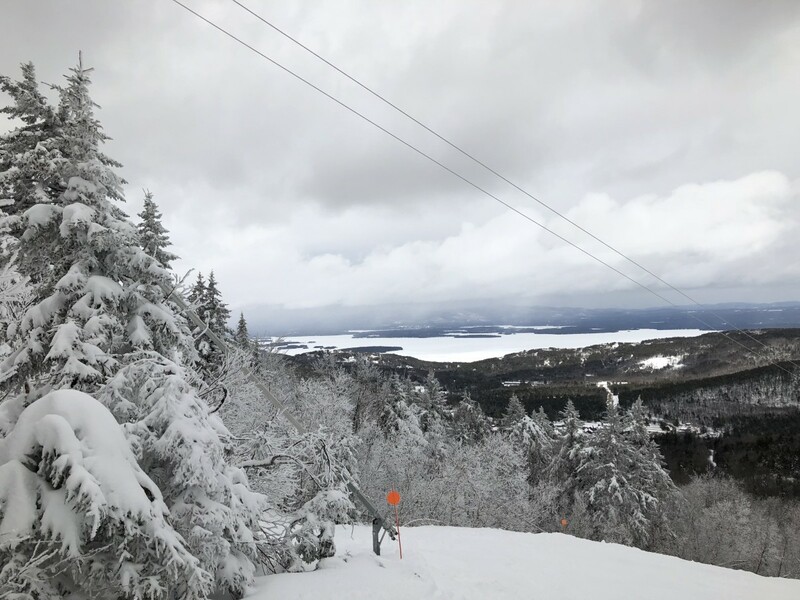 Well yesterday at Gunstock Mountain was just too glorious to miss. 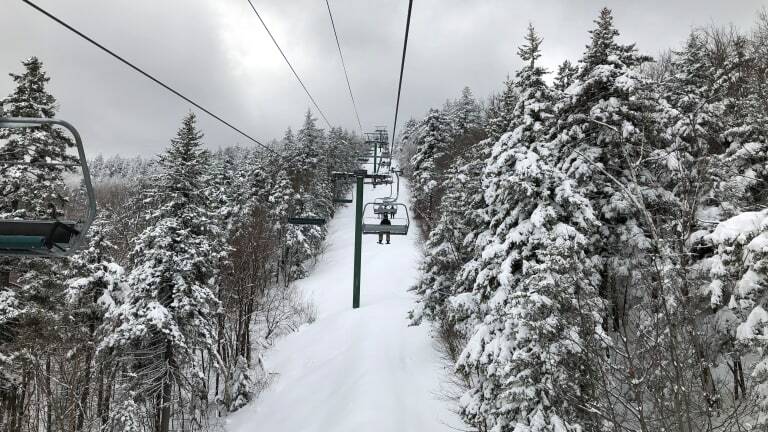 Mother Nature dumped another foot of snow here in the Belknap Mountains of central New Hampshire and the mountain was calling. My daughter was busy training with her group and didn&apos;t give me a second thought (ah, the myopia of being 12). After quickly scanning my emails, I snagged a day pass and headed up to explore. Since it was midweek, there was no on one the hill, except for a few savvy seniors with flexible schedules. 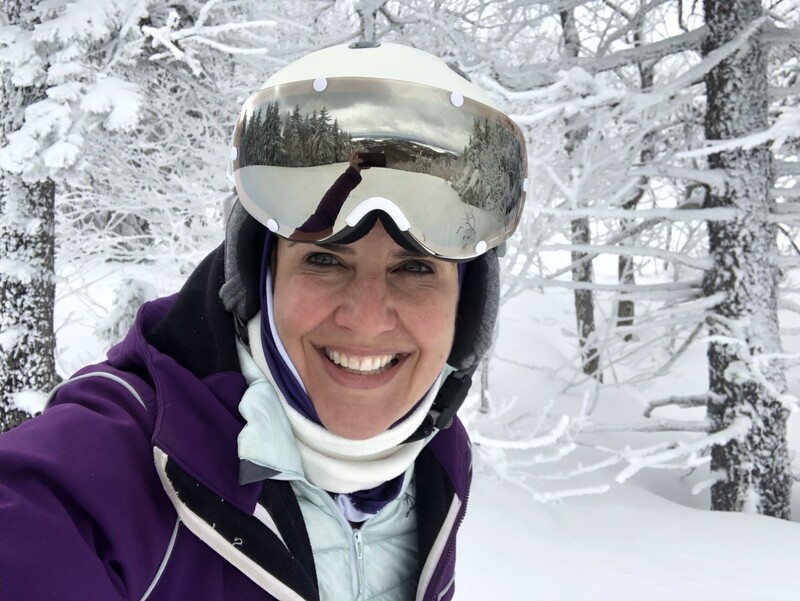 With zero lift lines, I found myself quickly tapping into the zen of skiing I often miss when I&apos;m shepherding my kiddos through lift lines and mapping our out day. In fact, I never looked at a map all day, and I mostly left my phone tucked into my thermaphone case and looked up and out at the breathtaking views of Lake Winnipesaukee. Don&apos;t get me wrong, family skiing or skiing with girlfriends is still my absolute favorite. But when a chance like this arrives on your doorstep, I invite you to let it in. There&apos;s nothing like a slow lift to hear yourself think. Something I don&apos;t allow often in my busy world of DOING and CREATING. Observing and listening count for an awful lot. My favorite part of the day was heading into the fluffy, bumpy glads. Normally I&apos;m a groomer girl. I stick to the beaten path on the slopes unless I&apos;m with a guide who pushes my comfort zone. But there was just something special about this mountain and this day calling me in deeper. It should be noted that my one fall of the day was in the glades. As I dug out of the powder and chuckled to myself, I just couldn&apos;t wipe the grin off my face. The pure joy of the moment is something I hope all women get to feel. For a few precious hours, I let go of mom responsibilities played. It&apos;s NOT overrated. Instead of sitting by my computer all day and watching the fun, I took a much-needed snow day. Maybe this winter is the time you try a few solo runs. Let me know if you do! The Joys of Skiing Solo is not a sponsored post.